Dialog 2 - Born in a Hospital? Dialog 3 - A Christmas Play! Dialog 4 - Dusty Pages! Dialog 5 - Wash 'em? We Three Kings - Fast! The First Noel - Too Fast! Dialog 8 - What a Calamity! Dialog 11 - Christmas Eve Service! Dialog 12 - Let's Share the Joy of Christmas! 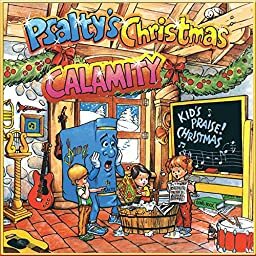 ℗© 2017 Psalty's Kids Co!